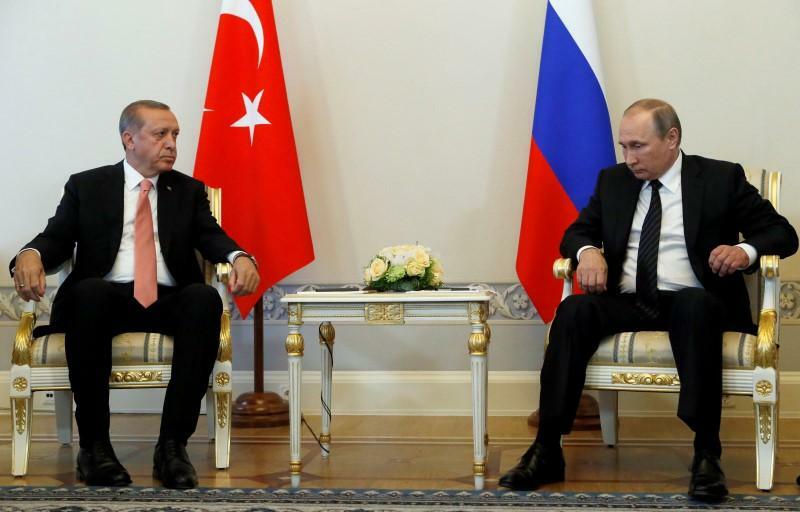 by Graham E. Fuller — Barely more than a few weeks after the failed coup in Turkey, President Erdogan surprised the world by turning up for a meeting in Saint Petersburg with Russian president Vladimir Putin. Many observers in the West view the event darkly, as a sign that perhaps Erdogan is now making a strategic about-face to embrace Russia. This meeting, while coming fast on the heels of the coup, does not really represent a great surprise and should not be viewed as some sinister new departure in Turkey’s strategic posture. It’s important to remember that the foreign policy introduced in 2003 by Erdogan’s party, the AKP, already represented a major new departure in Turkey’s foreign policy orientation. Erdogan’s foreign policy guru, and later foreign minister, Ahmet Davutoglu, proclaimed a new policy of “zero problems” with neighbors. Suddenly, and for the first time in the history of modern Turkey, Ankara decided to dramatically reverse its previously bad relations over fifty years with virtually all of its neighbors, and declared a desire to reach accommodation and resolve long-standing tensions with states where cold relations had previously existed. The new vision opened a huge new chapter for Turkey in international relations. Washington of course was not pleased with these shifts since they entailed Turkey’s improving ties with countries whom Washington had sought to weaken and isolate: Iran, Russia, Iraq, Syria, China, Hamas, and Hizballah, whose influence the US sought to constrict. Turkey further determined that US policies in the region were failing, unproductive, unrealistic, dangerous, and against the interests of Turkey—and perhaps of the region as a whole as Washington plunged into war in Iraq, Afghanistan, and military incursions into Pakistan and Somalia. In my view as well Turkish assessments of US strategic errors and miscalculations were not far off the mark. Ankara famously denied the US military the right to invade Iraq from Turkish soil at the last minute in 2003. Thus a decade ago we had already heard much discussion in the US press about whether Turkey had “gone off the reservation,” or had ceased to be a reliable ally of the US. Indeed Ankara was no longer a “reliable ally.” Historically that had meant that Ankara would follow the US lead in Middle East policy. No longer. Ankara had truly set out on an independent path in keeping with its perceptions of its own interests, and they generally ran counter to what Washington wanted. That particularly included burgeoning strategic and economic ties with Russia. Indeed, Turkey no longer considered itself to be uniquely a “western power” but also a Middle Eastern one, and went on to declare its historical, cultural, economic, and strategic interests in the Caucasus, Eurasia, North Africa, sub-Saharan Africa, and even newly expanding interests into Latin America. These initiatives were accompanied at the time by an expansion of the Gülenist network of schools and commercial ties in all these areas as well, with the full blessing of the Turkish foreign ministry as representing a new source of Turkish soft power. At that time overall Turkish relations with Washington were cool and Erdogan was disliked. But Turkey’s “zero problems with neighbors” had represented a fresh and productive policy as Turkey became the number sixteen developing nation in the world with spreading interests; in 2013 Turkish airlines served more countries than any other airline in the world. 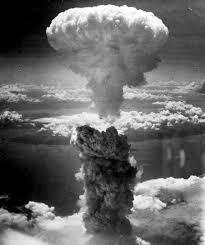 It entered the process of globalization and its economy boomed. But Turkish foreign policy successes were to bite the dust with the onset of the Arab Spring, a phenomenon which no one foresaw, and which no country handled well, including Washington or Ankara. Erdogan, long a mentor to Asad in Damascus, soon became obsessed with overthrowing him—the signal foreign policy error Turkey committed. Turkish involvement in the Syrian conflict led eventually to the unravelling of its good ties with virtually every neighbor, undoing the foreign policy gains of a decade. So looking at the present situation we need to see it in the perspective of the events of the last decade. Turkey is not “drifting away from Washington” as such—it had long since already done so. It is not now suddenly cozying up to Russia—it had already long done so. It was only the toxic character of the Syrian mess that had also severely damaged Turkish relations with Moscow, culminating in the Turkish shutdown of a Russian fighter aircraft on the Syrian-Turkish border. That is now being righted. Following the failed putsch attempt against him on 15 July of this year, Erdogan has indeed found little warmth or support from the West. Indeed, there has long been little love for him in the West, even though all countries appropriately condemned the coup attempt as an unwelcome blow to the Turkish democratic order. Whatever sympathy Erdogan might have won even then was largely weakened by his subsequent sweeping purges in the military, the judiciary, police, educational and financial system against any and all potential opposition to Erdogan from any quarter—not just Gülen, now reaching well over 60,000 people cashiered or arrested. Erdogan is thus somewhat isolated in the West where he is viewed as mercurial, erratic, and seeking authoritarian powers at home. But his efforts to restore his ties damaged ties with Russia and the East does not represent a bold new break or a slap to the West, so much as a return to his original foreign policies of a decade ago. Indeed he is now moving to again mend the damage to nearly all Ankara’s foreign ties so heavily damaged during Ankara’s Syrian adventure. This is not surprising, and from Erdogan’s point of view, eminently sensible. He seeks to shore up his basis of foreign support to the maximum degree on all fronts. But he is also highly unlikely to abandon NATO since it represents his key institutionalized relationship with the West. After the disastrous state of Turkish-Russian relations over the past year or so, they had nowhere to go but up. Turkish ties with Russia are not unnatural, especially after the breakup of the Soviet Union, centering on energy, trade and tourism. Russia is of major importance to Ankara. The two share many common interests from the Balkans, across the Middle East to the Caucasus and Central Asia. They may be partial rivals in the region, but stability benefits both. Thus these developments do not represent a genuine new setback to the US in the region— unless one views America’s number one interest in the region to be the exclusion of Russian influence at all cost. That is really old think—and quite unrealistic.